This company is no longer in business as a debt settlement company. 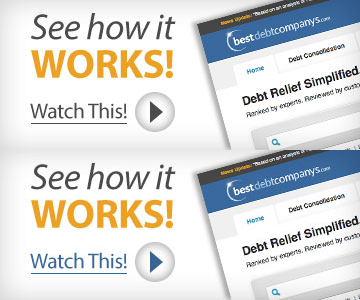 Click Here for Our Top Recommended Debt Settlement Providers. This company is transparent when it comes to service fees and you can quickly get a clear understanding of how much you will pay for service. In addition, you will not pay anything unless the company successfully settles your debt. We are concerned about their government lawsuit action. Although this company is located in Colorado, they have agreed to be permanently enjoined from providing service to Colorado residents. In addition, they are not AFCC or IAPDA accredited. Prestige Financial Solution’s recent legal issues are concerning. They are also not AFCC or IAPDA accredited. For these reasons, we do not recommend them and suggest you look into our top recommend settlement companies to see if they can fit your needs. Prestige Financial Solutions charges 25% of the total amount you saved using their services. If you are a resident of California or Illinois, the company is only allowed to earn 10% of your total savings due to state regulations. There are no up-front fees, and you will not be charged until a settlement is successfully reached. You can receive a free consultation by filling out the online form or calling the toll free number. A company representative will ask you to describe your financial situation and can then discuss the costs of service based on your specific needs. 9 years. This business has been operating since 2006. The website offers a debt calculator that can help you determine an estimated monthly payment based on your particular debt situation. This calculator also includes the company’s service fees so you can get a clear understanding of what you’ll pay if you hire this company. There is also an FAQ page that answers important information regarding debt settlement. Prestige Debt Solutions does not have a specific cancellation policy. However, you will not be charged anything until the company has successfully settled your debt. Prestige Financial Solutions is able to settle almost all unsecured debts, although there are some exceptions such as utility bills and auto loans. This company does not handle secured debt. Speak with a company representative to determine if you qualify for service. The website functions on mobile devices but is not optimized for them. All features are fully accessible including the online debt calculator. The FAQ page is also easy to read even on small-screen devices. This company offers the Pay As You Settle (PAYS) debt plan. This allows you to pay off your debt settlement in monthly installments that are adjusted to meet your income and financial situation. Prestige Financial Solutions will work hard to obtain a settlement that is less than what you originally owed. This company strives to have your debt paid off in 36 months or less. The company will not receive any payments until your debt has been settled. The minimum debt accepted is $12,000. No, there is no online portal. Communication is handled via phone and email. They do not contact clients unless there has been some kind of status change or if more information is needed. No, they do not hold accreditations with the AFCC or IAPDA. By submitting this form, I consent to receive calls using automated technology from Prestige Financial Solutions at the number provided and understand this is not a condition of purchase.